It's dark when they leave Greypelt and head down the switch backs along the side of the mesa. The Makindi trench is the next leg in their journey. But before too long, they have to camp for the night along the switchbacks, and Nissa doesn't get much sleep thanks to the storm that comes rolling in that pours down rain so hard that it's quite painful. In the morning, Nissa finds that she's the first to get up, and when she takes a look at the charm that Khellad had given her so long ago, the liquid inside begins to bail. It's filled with water from the Glasspool, the only source of fresh water on Akoum at the ruins of Ior, which is quite sacred to the kor. When the water in the vial begins reacts, it means a Roil is coming. Nissa yells at the other two to hang on to something, and she rushes for the nearest tree and attaches one of her hooks to a root. 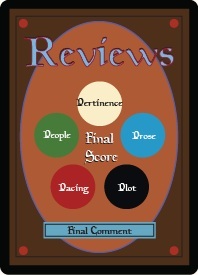 The earthquake is quite a violent encounter, and when it's all over, Nissa notices that the switchback markers are all gone, there's a new chunk of land floating up in the sky, and both Sorin and Anowon are missing. She looks over at the canyon floor and sees two black specks down there. It takes another half hour before she reaches them, and she does so just before the six-limbed insect-like creatures known as crevice miners take a healthy bite out of either of them. 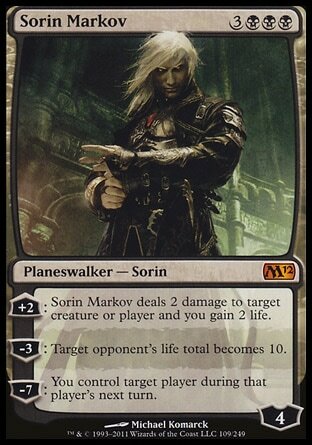 Anowon is fairly okay, but Sorin has been pretty battered by the fall. There's an intensity about his eyes when he first wakes, until he finally recognizes her. He grabs her sleeve and pulls her in close. "I know about you," he said, slurring his words. "I can tell you have left this place before." He tapped his forehead "I can tell." 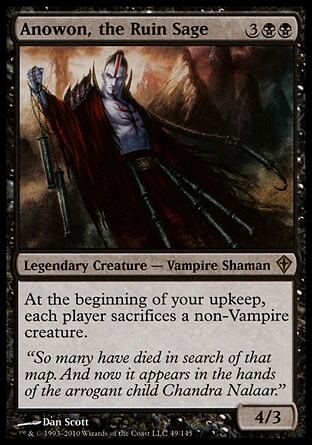 Sorin isn't in a good enough condition to travel, but they need to get away. More crevice miners have shown up, and while Nissa can take care of these fairly easily, the scent of blood would attract more, too many to handle. Anowon pulls out an enchanted merfolk tooth and tosses it at Sorin which causes him to float, and Anowon grabs hold before he floats away. The pair continue to follow the canyon while dragging Sorin in tow while the crevice miners follow. They reach a point where some boulders have made the passage quite narrow, so narrow in fact that Nissa has to really squeeze through to get past. Once they all make it through, Nissa yells for Anowon to run, and the crevice miners sense their food escaping so they rush after them. However they're not smart enough to go single file and the end up clogging the passageway. Things are so close to being fine again when another storm strikes and there's no cave to shelter in. All they can do is press up against a wall. But Nissa realizes that's not good enough and what kind of danger they're really in. They need to get to higher ground. Up above there's a tree growing out of the canyon wall with a boulder lodged next to where they can wait out the storm. It's close enough that she can probably throw a grappling hook on to it. She tries a few times, but fails. Anowon makes his own attempts with no success.. 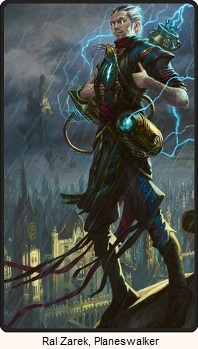 There's a rumbling in the distance and they all know they need to hurrry, so Sorin takes his turn after after his second attempt, the grappling hook latches on. 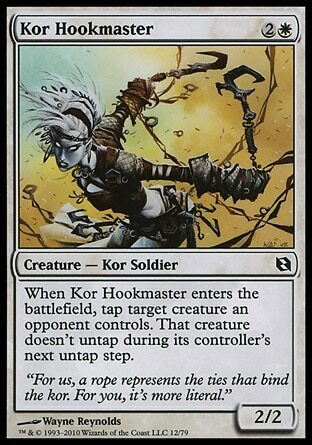 All three scramble up the rope, with Nissa taking the rear. The rumbling gets louder and a giant wall of water comes crashing by, tall enough that the water line reaches up to her ankles as she climbs the final few feet. Eventually the storm quiets down and then stops. When Sorin expresses relief that the flood likely swept away those insects that were chasing them, Nissa signals him to be quiet. There's a new rumbling. They moved quietly and passed around a boulder to the left and came face to face with a host of three hundred kor , their strange hooked weapons at the ready. Ahead, Sorin's unusually loose gait had him weaving unsteadily as he walked. At least he can be hurt like the rest of us, she thought. She found herself not caring particularly if he went to sleep tonight and did not wake. So let's get this straight. 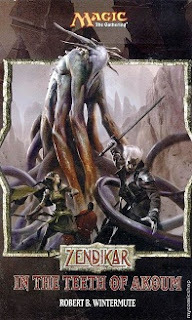 Sorin is the only one that really knows what's going on, and he says he can stop the Eldrazi. 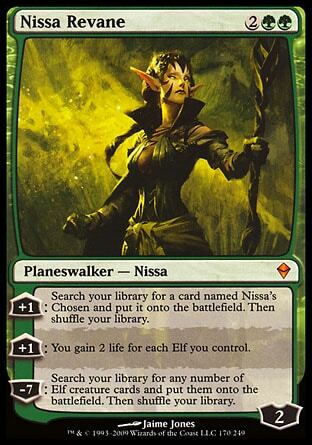 Nissa has decided just last chapter that this mission is now her own and she's going to do this both for Zendikar and for herself. I was fine with her enjoying witnessing some pain and injury in Sorin, but when the paragraph goes on to say that she no longer cares if the key to success of the mission she's decided is important to her simply dies... that's a bit too far. Wait, wait, wait... So there's this giant flash flood that we just spent a good deal of time on, that was presenting all kinds of danger for our heroes. Then one of our heroes then expresses that the creatures chasing them shouldn't be an issue anymore, which further emphasizes how deadly that flash flood was. And then hundreds of people just show up? How were the kor not swept away!